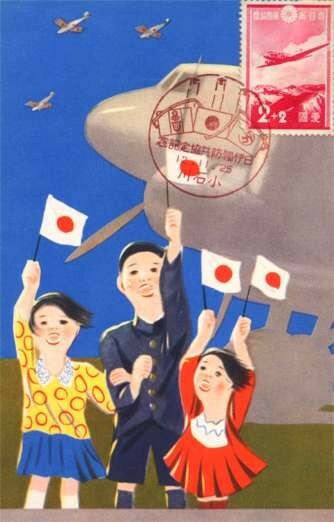 Japanese Children with Flags Airplane Maximum Card | VintagePostcards.com: vintage, old, antique postcards for collectors. Greeting the airplanes in the sky. Greeting the airplanes in the sky. Aviation.